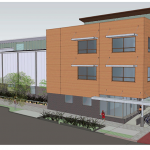 San Francisco based Planet Granite plans to build a full block climbing facility between NW 14th and 15th at Pettygrove and Quimby. The 30,500 sq ft facility with a 60 ft climbing wall is targeted to open in mid 2014. The owner, Micky Lloyd, proclaims that it will be the best climbing facility in the country. There will be walls with hydraulically adjustable angles and crevices of changeable widths. The gym will also offer yoga, weights, and cross training equipment. Annual membership will run $803. 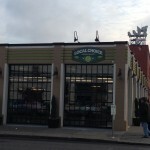 This entry was posted in Local Business, Uncategorized and tagged business, coming soon, pearl district on January 23, 2013 by lgilmer.